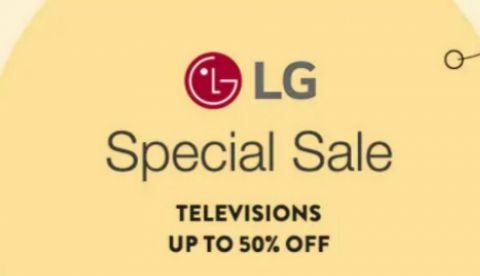 Paytm Mall is currently hosting an LG Special Sale under, which they are offering up to 50% off on LG TV’s till February 2nd. Paytm Mall LG Special Sale has kicked off on January 28 and will go on till February 2. The e-commerce platform is also offering an additional 10% discount on making payment through Kotak bank debit or credit card. The offer is valid on EMI transactions as well. So, let’s begin. The LG 32-inch HD Ready LED TV is now available on sale at a discounted price of Rs 19,590 (including Rs 1,500 cashback). You can also get an additional 10% discount on making payment via Kotak bank debit or credit card. Check out the deal here. The LG 43-inch Full HD LED Smart TV comes with a built-in Wi-Fi that allows you to download and watch content from apps like Netflix, Youtube, Hotstar and more. The TV offers a resolution of 1920 x 1080 pixels. During the sale, it is available for Rs 35,247 inclusive of cashback. Check out the deal here. The LG 49-inch Full HD Smart TV comes with the same features as the one I mentioned above. However, it has a bigger panel size of 49-inches. The TV is available during the sale for Rs 49,281. Check out the deal here. The LG latest AI ThinQ TV, which was launched in India at a price of Rs 69,990 is now available at Paytm Mall on a discounted price of Rs 46,950. On top of that, you will also get an additional cashback of Rs 3,287, which brings down the effective price to Rs 43,663. Besides that, you can also get an extra 10% discount on making payment through Kotak bank card. Check out the deal here. The LG 55-inch UHD Smart AI ThinQ TV can now be bought during the sale at a discounted price of Rs 64,728 (inclusive of cashback). If you have a Kotak bank debit or credit card then you can also get an additional 10% discount even on EMI transactions. Check out the deal here. LG G2 not downloading pictures right? NEXUS 6, LG OR MOTO??? which is best lg g3 or htc one e8? LG G3 or HTC One M8 ?